During an upcoming visit to University of New Brunswick, Retired FSU Art Professor Mary Stewart will interview up to six faculty members and give a keynote presentation titled From STEM to STEAM: Harnessing the Connective Power of Creativity. In it, she will discuss the increasing emphasis on STEM coursework (science, technology, engineering and math) and ways in which coursework in creativity can connect these disciplines to each other and to the arts and humanities. The event is free and open to the public. Mary Stewart is the author of Launching the Imagination, one of the best-selling design textbooks in North America. Exploring a wide range of products and processes, this book treats design as both a noun (describing objects) and a verb (exploring actions). As a co-founder of Integrative Teaching International (see https://www.integrativeteaching.org/), Professor Stewart has helped to nurture a new generation of university level educators. 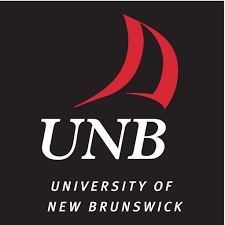 She is currently working on a new book titled From Ideation to Implementation, and will be focusing on creativity during her visit to University of New Brunswick.